Domain-Eukarya: A eukaryotic cell is one with a membrane-enclosed nucleus and membrane-enclosed organelles. Division-Magnoliophyta: Angiosperms (flowering plants, with protected seeds). Subclass-Dilleniidae: Distinguished by being syncarpous (two or more carpels are fused or joined together). Order-Violales: Distinguished by a unilocular(Having a single compartment in the ovary or fruit), compound ovary and mostly parietal placentation. 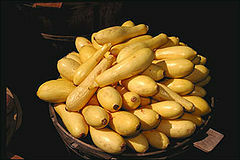 Family-Cucurbitaceae: climbing herbaceous annuals, whose leaves alternate along the stem, and usually palmately 5-lobed or divided arrangement. The flowers are mostly unisexual (separate male and female flowers). 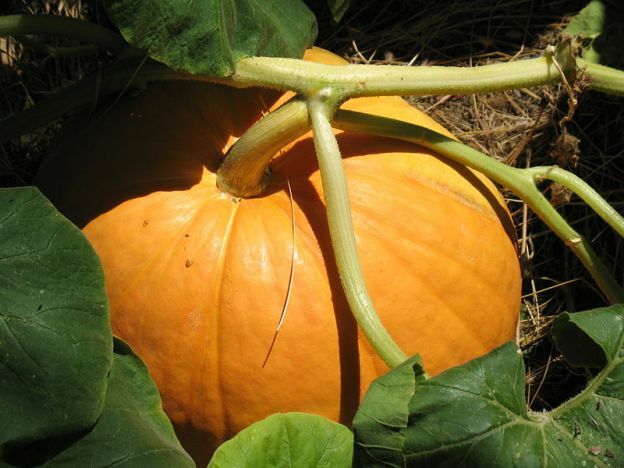 Commonly called/consist of, the gourd family, pumpkin family, melon family and cucumber family. Species-Cucumis sativus: garden cucumber, cultivated cucumber, pickling cucumber. 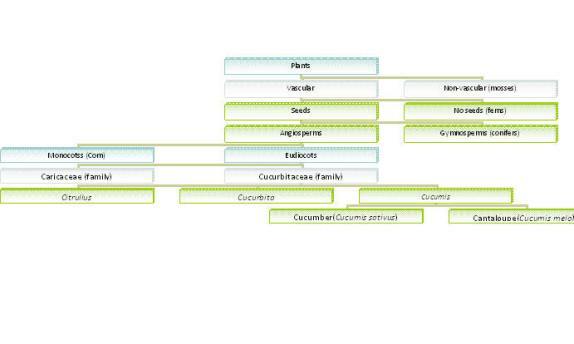 For more information about other organisms in the se taxa click here. Cucumis sativus is a tendril-bearing (a leaf or stem modification), climbing or sprawling annual plant which is widely cultivated for its edible cylindrical fruit that has a green rind and crisp white flesh. Its texture is very coarse and its growth is only primary (upward, no growth in width of stem). The green leaves are simple, soft and flexible with prickly branching hairs. The simple leaf blade has lobed margins and its apex is acute. The leaves are alternating in pattern along the stem The flowers (both male and female) are yellow, with five petals with a campanulate (bell-like) shape. The fruit type is a green pepo produced by the female flower. The cucumber plant is a Eudicot which means that it's leaves have net venation, its root is a tap root, it has petals in multiples of 4s and 5s and its embryo contains two cotyledons. The Figures 1, 2 and 3 depicts the organisms in close relation with the cucumber. 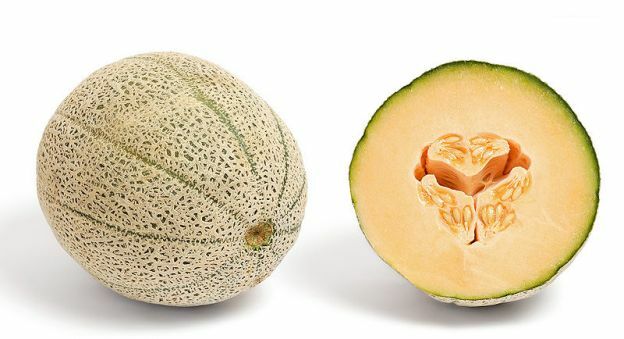 Within the cucumber family are some familiar organisms including genus' Citrullus - watermelon(3), Cucurbita - pumpkin(1), squash(2), gourd and Cucumis - cucumber, cantaloupe, muskmelon. To learn more about where this plant came from click here.